Although we enjoy the services offered by our basins, most us find the cleaning part quite challenging. Cleaning basins entail focus, determination and to some extent, guts. The basin is where most of our dirt and germs are left. It is the one place that given an option, you wouldn’t want to clean. For us to stay healthy, our homes must be cleaned and that includes the basins. 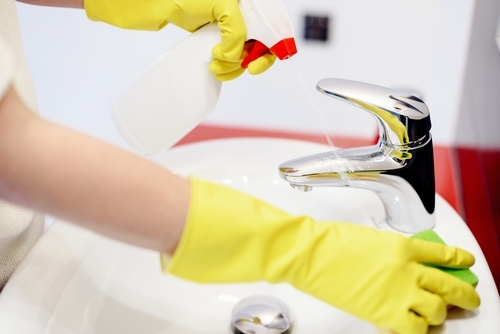 It is important to know what to avoid when cleaning basins. This piece is aimed at giving you detailed information on what to avoid when cleaning your basin so as to get the best results. There are many types of scouring pads on the market and most of them are two-sided. One side is usually soft (mostly it is a spongy material) and the other is hard or rough. If you love your basin and wish for it to stay smooth for a long time, avoid using the hard part of the scouring pad. It will leave scratches and marks on the basin. It will also affect the smoothness and shiny appearance of your basin and make it look older than it is. Sometimes we think that using the rough part and scrubbing with strength will do away with those stains. Although it may seem to work, it will leave marks and scratches on your basin. It is important also to highlight here the importance of scrubbing gently even when using a soft pad. This calls for patience and diligence. For most of us, drying our basins with the cloth we have been using to clean is not usually a big deal. However, after cleaning your basin with the soft cloth, avoid rinsing and reusing it to dry the basin. If you do that, you return the water marks on the basin and it will not look clean and sparkling. Once it dries the watermarks will be more visible, but dry and the look will be disgusting. On the other hand, reusing the cloth will return the germs and bacteria to the basin. It is worth emphasizing that the cloth used to dry the basin should be disinfected and well dried. It is advisable to use a dry cloth that is able to absorb all the water in the basin and leave it sparkling and disinfected. · Avoid rinsing your basin with water after using vinegar to clean. For effective cleaning of the basin, it is advisable to use vinegar. It has anti-bacterial agents which help in enhancing your basin’s cleanliness. However, when using vinegar, avoid using water after cleaning. If you use water to clean or rinse after using vinegar, the watermarks will be left again on the basin and after it is dry it will look repulsive, untidy and uneven. For you to enjoy that even and smooth look of your basin after cleaning, avoid finishing the process by rinsing or wiping the vinegar with water. · Avoid using vinegar on porcelain that is colored or marble. 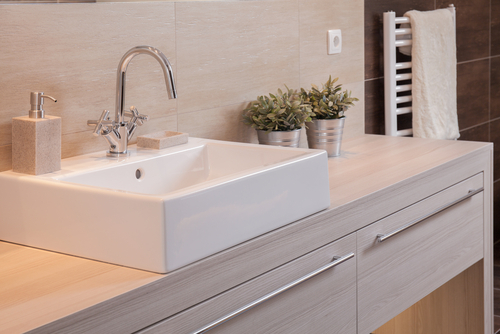 When used on colored porcelain, vinegar will cause the basin to become faded or appear dull. The strong elements found in vinegar will sort of tarnish the original color of the basin. You are safer using the recommended products for your colored porcelain basin. You also need to avoid using vinegar on marble. Vinegar is acidic in nature and will definitely tarnish and stain any marble basin. For marble you really have to go slow and use very mild products such as warm water and a very mild soap. You can also look for something relevant in the store and ask before using. Nonetheless, you may be amazed by the results that a soft cloth and warm water will give you. So do not underestimate them. Ammonia is not a safe product if ingested. Remember, there are many things that you put near or around your basin. It will be risky to use products that are laced with ammonia to clean your basin. In case the products get into contact with things such as toothbrushes, toothpaste or bathing towel, it may be dangerous. If ingested, ammonia may cause a burning sensation in the throat or around the mouth. It may also affect the respiratory tract. We are all different and react differently with various products. If you don’t know how you could react with ammonia, it will be safe for you to avoid it. We have been made to believe that bleaching agents are the solution to all stains. However, bleaching agents have a role to play in cleaning, but not in basins. Bleach is extremely strong and has harmful contents to humans if ingested. When consumed it could lead to a choking feeling, which makes you very uncomfortable. Depending on your reaction levels, you could also feel some discomfort in your mouth and the esophagus. This may lead to nausea and sometimes vomiting. You will be safe if you avoid it and using natural products instead. Cleaning does not have to be a pain in the neck; all you need is to know what to do and the right products to use. The reason why you clean your basin is because you want to get rid of all the dirt and germs. 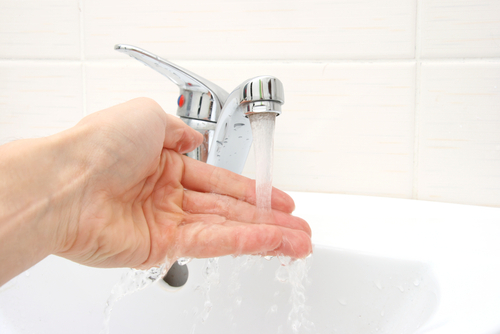 However uncomfortable it feels, using gloves will be mandatory so as to maintain your personal hygiene. Gloves will protect your skin from coming into direct contact with germs and other harmful bacteria. Also, you could cut or harm your skin as you clean using bare hands. Beside the Television, basins are the easiest way for humans to unwind. What we need after a hard day’s work is to fill them with water and just relax. For a while nothing else matters. Everything seems so calm and we have no care in the world. That is why you need to know what to avoid when cleaning your most treasured sanctuary.